This section explains the general terms of service of iDealwine. Before bidding or buying on a lot (at auction or in a fixed price sale), kindly read and agree to all general terms. The maximum bid is the highest price that you are willing to pay for the lot. The seller and other bidders cannot see your maximum bid. If you set a maximum bid on a wine, your bid will be automatically readjusted every time another bid is placed on the same lot. This will occur until somebody's bid reaches your maximum bid limit. The system places bids on your behalf using the automatic bid increment amount. If another bidder places a higher bid, we will notify you of it in order for you to be able to place another bid if you so desire. Your maximum bid is kept confidential until it is exceeded by another bidder. Example: imagine that the current bid is €50, if you bid for €70, after confirmation of your bid, the best bid shown will be yours at €60. If another member places a bid at €60, their bid will not be validated and the system will automatically bid for you at €60 and so forth until the maximum price you specified is overtaken (at least €70). Internet-only auctions are conducted electronically by iDealwine subsidiary: International Wine Auction Company (IWA) LLC with licence number 2012-027. 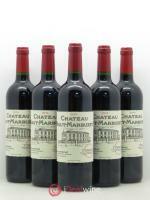 You can find these types of sales in iDealwine's online catalogues under the name "Auction". These sales are organized by iDealwine on its electronic platform, without bidding. They are identified by the term "Fixed-Price Sales". iDealwine is a platform specialized in intermediation and information about wine. During Auctions, iDealwine acts as the technical service provider for its subsidiary: International Wine Auction Company LLC (IWA), providing it with an electronic platform to conduct public auctions online. iDealwine puts on sale on its electronic platform for a limited time and under privileged conditions, one or more references coming from a specific producer, a particular wine trade company or belonging to iDealwine company. In Fixed-Price Sales, lots have a pre-determined price given by the seller. Registration is required prior to participating in any auction through iDealwine. The bidder must be 18 years or older and fulfil the legal requirements of the country, selected upon subscription. The bidder must have the legal capacity required to consent to such an agreement, or have the authorization of a parent or legal guardian. The bidder must comply with all terms herein. When registering, clients are asked to provide their first and last name, mailing address and email address. This information is submitted to iDealwine in order to be able to process your bids but iDealwine may, for strictly commercial purposes, forward this information to its partners. Clients may, however, deny iDealwine this privilege by informing iDealwine while registering. Orders cannot be processed unless the client has submitted a valid credit card number. If the client wishes to use another payment method, he or she will need to contact iDealwine&apos;s Customer Service Department during registration. Please note that when registering, your delivery address must be within iDealwine&apos;s shipping area scope in order to receive delivery. The starting bid, the price estimate and the time period for placing bids are indicated in the lots&apos; description. The bidder can start with a bid based on the current price of the auctioned lot or by using the maximum bid feature by selecting a maximum bid amount. At the end of the bidding period, the highest bidder is declared the winner and will receive a confirmation email from iDealwine. For further information about Auctions, see point IX: Particular Conditions Applying to Auctions. The purchase price of the lots as well as the duration of sale are indicated in the description of the lots. The lot is sold to the first client having placed their buying order. As soon as a buying order is recorded, the status of the lot indicated on the descriptive page changes from "available" to "sold", and no other purchase order can be recorded for this lot. The buyer receives a confirmation email of his or her purchase once the order has been finalised. At the end of the sale, the buyer receives an email with an order number and a link to proceed to payment. Placing a bid is an irrevocable and legal act: as a result, once an order is placed it cannot be cancelled or modified. However, bidders can place higher bids if they are outbidded on the website. iDealwine reserves the right to cancel an order or request a security deposit if it feels an order is exceptionally high. Pursuant to the provisions of article L.221-28 of the French Code of Consumption, the orders resulting from these types of sales are definitive and cannot be cancelled. Pursuant to the provisions of the article L.221-28 of the French Code of Consumption, Fixed-Price Sales orders have a fourteen day right of cancellation. Indeed, the buyer has a fourteen day deadline from the delivery of his order to return the delivered article(s). To be granted any refund, the buyer will have to inform iDealwine customer service in writing (email, mail or fax) before sending back the goods: iDealwine – 190, rue d&apos;Estienne d&apos;Orves – 92700 Colombes - France – info@idealwine.com – fax + 33 1 56 05 86 11. The buyer can use the withdrawal form. In case of cancellation, iDealwine will refund the costs related to the order, including shipping fees, within 14 days since the day the company would have been informed about the cancellation of the order by the buyer. iDealwine will proceed the refund using the same payment methods than the one used for the initial transaction, unless the buyer expressively requests another payment method. In any case, no cost related to this payment will be charged to the client. iDealwine will differ the refund until the company will receive the goods. The deadline is considered respected only if the buyer has sent the goods no later than fourteen days from the communication of the order cancellation to iDealwine. The clients is responsible for any depreciation of the goods resulting from a handling different than what is considered necessary to verify an order or resulting from a bad storage. For Online Auctions, the buyer's premium is paid to iDealwine subsidiary: International Wine Auction (IWA) organizer of the auction and is included in the final price (it corresponds to the hammer price). Prices indicated in the Fixed-Price Sales (except typo errors) are all inclusive of tax, 20% French V.A.T. and exclude shipping costs. There is no buyer&apos;s premium to add to the indicated price. The orders are only considered valid once payment from the buyer has been received. Regardless of the country of origin of the bidder, the reference currency is the euro. Payment is due once the lot is awarded; any outstanding payment after 15 days will accrue interest at a rate equal to one and a half times the legal and most current interest rate referenced in France at the time. In addition, storage fees will be accrued at a rate of €0.035 per bottle and per day, taking effect on the 31st day following the date of the order confirmation. If purchases are not been paid for within 15 days of the order confirmation, iDealwine is be entitled to proceed to the automatic and direct debit of the amount owed from the bank account used when registering. In case of non-payment, a fee of 10% of the total amount of the order and a €75 fixed fee will be charged. iDealwine reserves the right to pursue any legal challenges against the faulty buyer to recover any unduly paid amounts, interests, legal fees and any other costs and damages incurred. We accept payment by card (both French and non-French cards). In accordance with current regulations, cash payments are only possible for orders of €1,000 or less. iDealwine non-French residents are informed that local taxes, customs and excise duties are not included in the price indicated on iDealwine. In accordance with the current laws, taxes and duties of their country of delivery, clients will receive invoices from iDealwine or local authorities to clear and pay them. To learn more about these fees, clients can contact iDealwine's Customer Service Department. In case of lots sold by people who are not required to pay value-added tax (V.A.T. ), the V.A.T. only applies buyer's premium collected by the auctioneer (IWA) in the case of auctions and by iDealwine in case of fixed-price sales (as per the market system).. Therefore, professional buyers cannot collect the V.A.T., and this tax cannot be included on the invoice issued by iDealwine. Some lots are auctioned by dealers that are required to pay V.A.T. In this case, the common system is applicable, and professional buyers are able to collect V.A.T. Whether it is refundable or not refundable V.A.T. it is specifically indicated in the lot&apos;s description on the website and on the invoice. iDealwine non-French residents are informed that customs and excise duties are not included in the buyer&apos;s premium. In some circumstances, clients can ask to receive invoices in accordance with the current laws, taxes and duties of their country of delivery. To learn more about these fees, clients can contact iDealwine&apos;s Customer Service Department. In order to participate in auctions, bidders must register as members on the iDealwine website, accept the general terms herein, and provide personal information as well as credit card details. The information provided to iDealwine is forwarded to its subsidiary, International Wine Auction LLC (IWA), in charge of organizing the auction. IWA reserves the right to refuse a bid for just cause, particularly due to an insufficient security deposit and, therefore, may require an additional security deposit before accepting the bid. The auction organizer is legally bound by lot descriptions. Buyers who wish to receive additional information may contact iDealwine. Lots described in the catalogue will be presented on the website during the auction. IWA guarantees that the wines will be authentic and will conform to their published descriptions. However, information provided regarding wine levels, status of corks, capsules and labels are only indicative. IWA cannot guarantee the conditions of the cork. The information on bottle, back and neck labels and corks only serve to identify the product and ,therefore, IWA cannot be at any time held responsible for it. Tasting characteristics for wines purchased in auctions cannot be guaranteed. The Starting bid for lots, estimate, and bidding period are indicated in the descriptopn of the auctioned lot. Bidders can place bids by either selecting a bid increment based on the current price of the auctioned lot or by using the maximum bid feature by selecting a maximum bid amount. At the end of the bidding period of the sale, the highest bidder will receive an email informing them of the bidding results. IWA will then begin authenticating auction results and drafting the formal sales record. The buyer will then receive an email informing them that they have won the lot. In addition to the bid amount, buyers will also pay public auction fees added by IWA,to auction organizer : 18% ex-V.A.T. or 21.6% V.A.T. included in the hammer price. After the auction, all lots won by the same bidder are included in one invoice/order (bill of sale) and are payable to IWA, the auction organizer. Buyers will receive an email informing them of their order reference information. Depending on the payment method selected during registration, buyers will need to pay either by credit card on iDealwine&apos;s website or by wire transfer to the order of IWA. Lots cannot be delivered until payment is fully received. Lots can only be removed from the auction room upon presentation of the receipt of sale by IWA stating "paid". Buyers can use iDealwine&apos;s shipping services or they can pick up their lots directly from iDealwine&apos;s warehouse (see paragraph XII – Delivery and collection). IWA, the auction organizer and its technical service provider, iDealwine, make every effort to keep their auctions continually up and running. However, they cannot be responsible for technical difficulties. If the system does not allow bidders to place bids or if the system is not operational due to technical difficulties, iDealwine will inform everyone participating in the auction as quickly as possible. The International Wine Auction LLC (IWA) registered under no. 2012-027 is the company responsible for organizing the public auction sale in accordance with legal provisions and notably pursuant to the provisions of the articles 2011-850 of 20 July 2011. The "seller" is the person wishing to place his or her wines on sale in an Auction on iDealwine&apos;s website. The seller will deliver his or her wines directly or through a logistic company to iDealwine&apos;s warehouse. In case of auctions, iDealwine enables its subsidiary, International Wine Auction (IWA), to use its digital platform to organize public online auction sales. Hence, iDealwine acts as a technical service provider for the auction house. The seller authorises iDealwine to ensure the storage and conduct the appraisal of their wines in order to sell them through iDealwine&apos;s platform. iDealwine does not organize the auction but provides its digital platform to its subsidiary, International Wine Auction (IWA), in order to set up the auction. The seller mandates IWA to sell their wines on their behalf. This mandate describes the list of the lots with their descriptions, the price estimate, and the reserve prices. The seller authorises iDealwine to advertise, shoot, handle, store, post and get the support from any external wine specialists of its choice if it deems necessary in order to accomplish its mission. - He or she is authorized to deposit and transfer full ownership of the goods. - The goods respect French and European legal dispositions, laws, as well as customs and fiscal requirements. - He or she has provided iDealwine with all information relative to the goods regarding their ownership tracking, authenticity and regulatory situation. - The person depositing the wines will provide iDealwine with proof of identity. - In the case the person depositing the wines has been mandated by the owner of the goods, he or she must present a written authorisation from the owner as well as proof of the seller&apos;s identity. 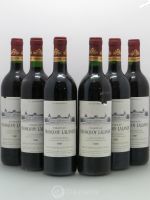 All wines to be sold at auctions are estimated before the sale, resulting in a low and a high estimate. 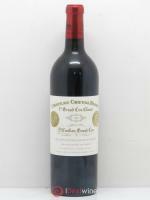 The seller can fix a reserve price which represents the minimum price under which the bottle cannot be sold. The reserve price cannot be superior to the low estimate and by default corresponds to the low estimate. The seller can specifically request to sell his or her bottles without any reserve price (starting price €1); in this case, no complaints or challenges from the seller regarding the selling price will be accepted. After the wines have been deposited or sent to iDealwine&apos;s warehouse, a valuation is conducted by the wine specialist team and, if necessary, iDealwine may require external counsel acting under its responsibility. Description elements used such as state and condition of labels or capsules, wine levels, bottling origin (château, negoce, reconditioning…) are established during the valuation. iDealwine reserves the right to carry out all necessary checks to establish the authenticity of the wines. iDealwine may consider some wines to be inappropriate for sale or for consumption due to their condition (important leakage, loss of colour…) and will, in this particular case, withdraw them from the sale. For wines dating before the vintage 2000, cork resistance is always tested. Any bottle controlled with a dropping cork or showing signs of weakness will also be withdrawn. iDealwine is not responsible for corks falling during testing. Unless specifically requested otherwise, when depositing or sending the wines to iDealwine&apos;s warehouse, grouping by lots will be conducted by iDealwine wine specialists. Original wooden cases (OWC) will only be mentioned for lots with any low estimates over €1,000. Regarding bottles removed for condition issues (see above), iDealwine will inform the seller so he or she can collect or have the wines returned at their own cost. If iDealwine does not receive any answer within 45 days, iDealwine will have the right to discard or destroy the bottles. Auctions are held electronically under the supervision of International Wine Auction (IWA) whose contact details can be found in the sales mandate signed by the seller. For such sales, iDealwine provides technical and customer service. Sale results are communicated by email to the sellers within 48 hours following the closure of the sale. Bottles that did not sell will automatically be proposed in the following sale. The seller can ask for a lower starting price in case of auctions. The Seller&apos;s Premium, received by IWA in case of auctions amounts to 15.60% V.A.T. included (13% ex-V.A.T.) in addition to the hammer price as well as any additional logistic fees incurred to ship the wines to iDealwine&apos;s warehouse. No advertising, catalogues, or any other fees are collected by iDealwine. Storage costs are free for the first 6 months and charged €1 per bottle per month after this date. In case of unsold bottles, the seller can come and collect the stock at iDealwine&apos;s warehouse upon appointment. Alternatively, iDealwine can establish a quote to ship the wines and organize the delivery. Payment occurs 35 days after the closing of the sale. 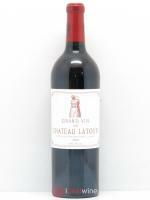 It is managed by IWA in case of Online Auctions and by iDealwine in case of Fixed-Price Sales. Payment is executed by bank transfer or check according to the seller&apos;s specifications. iDealwine has an insurance covering risks related to logistic and wine storage based on the estimated value of the wines. In case of breakage during transportation or storage by iDealwine, the seller will be refunded within 30 days based on the median estimate initially communicated to the seller. All contracts between a seller, iDealwine and International Wine Auction (IWA) regarding the wines of the seller are subject to the General Terms of Services hereunder and governed by and construed in accordance with French law. The parties agree to submit to the jurisdiction of the Commercial Court of Nanterre any dispute which may arise between the parties with regard to the validity, interpretation, or execution of the present contract. iDealwine guarantees product compliance with their descriptions made on its website. However, bidders must be aware that vintages on spirits are given for information only. Information provided regarding wine levels and the condition or absence of capsules and labels are only indicative. IDealwine cannot guarantee the state/condition of corks. Information on labels and back labels serve simply to identify the product and, therefore, iDealwine cannot at any time be responsible for it. Tasting characteristics for purchased wines through iDealwine services cannot be guaranteed by iDealwine. Furthermore, iDealwine makes every effort to keep its online bidding services up and running. However, iDealwine cannot be held liable if, due to technical difficulties, the system does not allow a bidder to place a bid in an auction. All requests regarding the conformity of products shall be made upon receipt of the shipment to iDealwine&apos;s Customer Service Department. If there is a problem regarding the conformity of a product or deterioration or unexpected damage during shipment, iDealwine may only be responsible for an amount not exceeding the hammer price sales fees and shipping fees for the given product. IDealwine is not responsible for misprints on prices or descriptions on its website or emails. iDealwine shall not be responsible for any default in its contractual obligations due to a force majeure or fortuitous event, including, but not limited to, natural disasters, fires, internal or external strikes, internal or external black-outs and in general, any event that does not permit services to be successfully carried out. In accordance with French ordinance n° 2009-879, dated 21st July 2009, it is illegal to sell alcohol to minors. Anybody placing a purchase bid therefore agrees to be at least 18 years old on the date they place the order and comply with the laws of the country of delivery of the wines. Alcohol abuse is detrimental to your health. Please be careful and drink in moderation. The iDealwine registered customers database has been deposited at the National Commission for Data Protection and Liberties (CNIL) under the document number 1356848. Law 78-17, dated January 1978, grants you access and correction rights to your own personal data. You can exercise this right by directly accessing your personal account online with your user ID and password. In addition, you can contact our Customer Service Department at info@idealwine.com or by mail to iDealwine, 190 rue d&apos;Estienne d&apos;Orves 92700 Colombes. All personal information provided is for iDealwine's use only. However, it may be shared for functional reasons only with its subsidiary IWA. You have the right to prohibit the sharing of information by notifying us during your registration. You have the right to deny this transmission by informing us during your registration. The iDealwine brand and domain names idealwine.com and idealwine.fr are trademarked by iDealwine and are thus protected by the French Intellectual Property Code and by the rules governing competition. iDealwine is concerned with data protection and is committed to ensuring the best level of data protection in accordance with the French Data Protection Act and the General Data Protection Regulation (GDPR) (rule 2016/679 of the 27th April 2016). Please consult our page dedicated to data protection. The name, conception, layout, visual identity, software developments, pages source codes, content, comments and original illustrations of idealwine.com and idealwine.fr are the exclusive property of iDealwine. Electronic copies of some pages of the website or paper printing is only authorized by iDealwine for private use. Any other use could constitute an infringement sanctioned by law. iDealwine offers its customers access to a comprehensive database and wine quotations that constitute an electronic database within the meaning of article 98-536, dated 1st July 1998. As such, iDealwine benefits from all copyright on this database and thus the exclusive right to use this asset. In accordance with the second paragraph of Article L. 122-5 of the Intellectual Property Code, any copies or duplicate of this database and, in particular, product notes as well as actual and historic quotations, should always be subject to formal approval by iDealwine whatever the use intended. In connection with database producers&apos; rights (articles L. 341-1 and seq. of the Intellectual Property Code), iDealwine benefits from database content protection, prohibiting any copies or use of a substantial part of the database including in particular, yet not exclusively, the actual quotations, historic quotations, wine notes and comments in the database. Any contracts signed between a client and iDealwine under the general service terms herein will be established and interpreted in accordance with French law. All the parties agree to take any dispute or disagreement that may arise between them regarding the validity, interpretation or execution of the current contract before the Commercial Court of Nanterre –France.